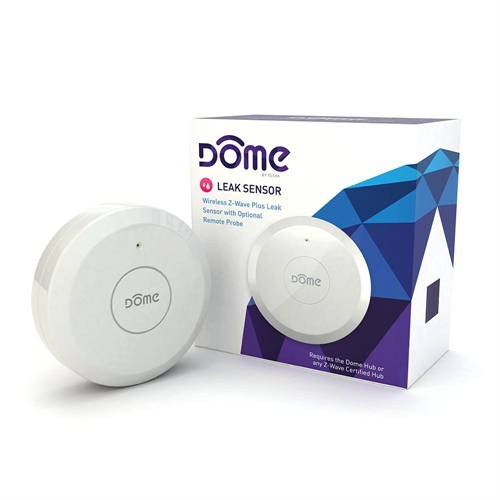 Stop leaks in their tracks before they become a bigger problem with the Dome DMWS1 water leak sensor. This a low-profile water leak sensor will fit under most appliances with ease. It also comes with an optional 4-foot remote probe for extended water detection range. The DMWS1 is Z-Wave Plus certified to permit compatibility with most Z-Wave certified automation controllers such as Vera, SmartThings, HomeSeer, Nexia, etc. allowing for powerful automation that can have it sound a siren when it detects water or shut off a water valve to prevent further flooding. 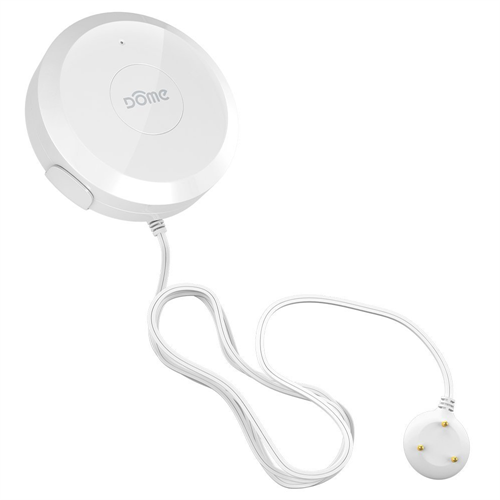 Z-Wave Plus also means an improved wireless range as well as an improved response time due to an increased bandwidth. It has a 3-year battery lifespan and comes with a low battery indicator to let you know when it’s time to change it. A CR2 battery is included. NOTE: Requires a Z-Wave gateway controller to operate.